How to install Raspbmc on Raspberry Pi? Home Home Media How to install Raspbmc on Raspberry Pi? Based on popular request, here is the guide to install Raspbmc on Raspberry Pi. If you have been following me you may already know that I have been a fan of OpenELEC on Raspberry Pi. Well that changed recently after my latest comparison of Raspbmc and OpenELEC. I quickly started feeling very restricted on OpenELEC and found the ability to install Debian packages on Raspbmc to be fascinating. With slow development in Xbian, one of the other media center OSes that run XBMC (nka Kodi), the choice is limited to Raspbmc and OpenELEC. 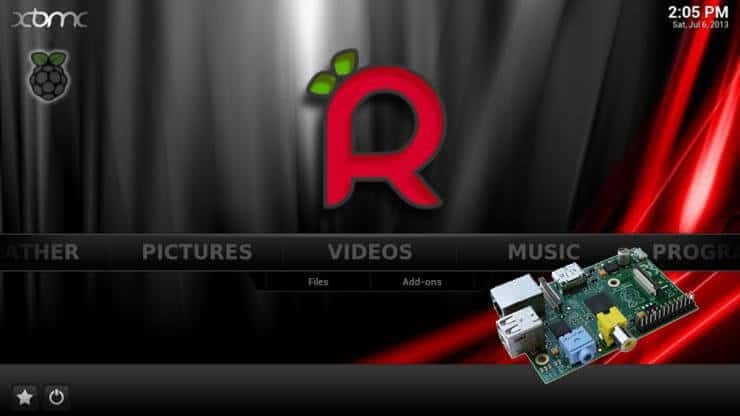 This guide will show you how to install Raspbmc on Raspberry Pi on Windows, Linux, and OSX. Note (5/25/2015): Raspbmc is now OSMC. Check out our latest guide on how to install OSMC. Raspbmc Windows installation is easy. Just download Raspbmc. 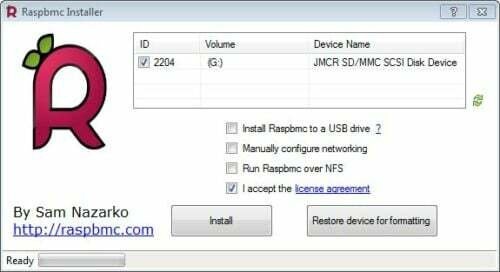 Choose the installer for Windows environment and let the Raspbmc download to complete. Extract the downloaded zip file and run installer.exe. Ensure that you have a compatible SD card inserted (note that everything on the card will be erased during installation). Let the Raspbmc installation complete and you are done, for now. After you install Raspbmc installer to SD card, insert it into your RPi and power it up. The latest Raspbmc image will be downloaded and installed. You do not have to anything here to install Raspbmc on Raspberry Pi. Just let the installation continue. As it says, it might be a good idea to grab a coffee now as the installation can take about 45 minutes. Once the Raspbmc installer completes, your Raspberry Pi should automatically reboot to XBMC. So there you go, go ahead install Raspbmc on Raspberry Pi and enjoy your new entertainment center. If you liked this Raspbmc install guide, consider following as more Raspbmc and Raspberry Pi guides are on the way. How to setup Chromecast using your phone or tablet?